Update - 2018.11.19The GolfBuddy PT4 has been discontinue by the brand offers up an awesome replacement in their new talking, handheld VTX GPS – check it out here. 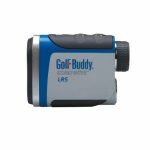 This GolfBuddy PT4 Handheld GPS is an extremely intuitive and easy-to-use device that’s less like a rangefinder and more like a smart phone. It has an advanced interface with capacitive touch control with a 4″ LCD high resolution display. You can view everything from distances, Dynamic Green View, and digital score card to a statistics analysis module and Moveable Pin Placement feature all on a 8 hour battery life. If you want a simple device where “less is more”, than the GolfBuddy PT4 is definitely not for you. But, if you want everything there is to have in a tournament legal unit that makes you feel like you’re using a smartphone, then look no further. It’s on the higher price end for a GPS golf unit, and perhaps that’s why it’s only boasting a mediocre rating online; granted, it hasn’t been in the market for long. Although it seems like there’s still some room to improve, GolfBuddy is definitely onto something with the PT4. Is this a smartphone or a Golf GPS? If there wasn’t a big, green golf course on the display of this device, you’d never know that this is a golf GPS. The four inch LCD high resolution display, capacitive touch screen, and super-slim body has it not only looking like a smartphone, but it’s just as expensive as one too! 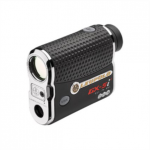 But, let me boast of its golf rangefinder capabilities that a smartphone doesn’t have: statistical tracking and scorecard feature, distance measurement to anywhere on the course, target customization, and pin-placement functionality. With smart technology and electronic devices making the strides it has over the past few years, did you really expect GolfBuddy GPS devices not to follow suit? You might want to leave your smartphone at home the next time you hit the course with your PT4; I see it turning all shades of jealous green. How can a GPS device give you any distance to any point, not just the flagstick, while you’re on the course? The PT4 has a great feature that allows you to utilize pin placement technology so that you can literally get a distance anywhere on the tee. With a couple finger taps, you can set a pin marker anywhere on your graphic course map and get a distance. This is extremely helpful for layups where you get the distance to your marker and also the remaining distance to the hole. This feature also allows you to get distances to game interference such as water hazards and bunkers. It’s quite a spruce, little gadget, wouldn’t you say? Do you have to scroll down a list of courses to find the right one? This may seem like a silly question, but for all those who know all too well the endless scrolling of courses to find the right one, you will certainly appreciate the answer. What’s really nice about the PT4 is, it has a search function that you can use to find your course faster instead of endlessly scrolling through 40,000 preloaded courses. When you’re ready to access GPS, the Auto Course Recognition feature kicks on to find that needle in the haystack – your chosen plot of green for the day. Are the courses only available to view when you’re ready to play and the GPS has a satellite signal? Unlike most GPS golf rangefinders, this device actually can allow you to view available golf courses without having to access its GPS mainframe. There is a Preview Mode that is very useful since you can look at a course as if you were playing it even though it’s not receiving any signals from a satellite. The device has a rechargeable and replaceable lithium ion battery that’s advertised by GolfBuddy to get around eight hours of game play at a time. According to reviewers, for some, it seems it’s barely enough, but for most, it seems it’s not. A way around this is to carry a spare battery with you or the charging equipment. A quick top-up in the car on the way over wouldn’t be too bad. It’s also pretty easy to: unintentionally turn on when not in use, accidentally mistake powering down when you’ve actually locked the screen, and leave on the GPS feature, which is a power sucker; say goodbye to your battery life. How durable is the GolfBuddy PT4? 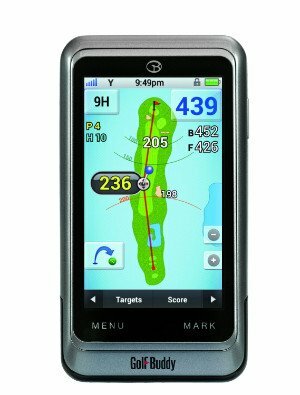 This GPS device is supposed to be the newer version of GolfBuddy’s Platinum and World Platinum devices. However, there is a difference with the PT4 that’s supposed to be an upgrade, but it actually works against its durability status. The World Platinum GPS had a recessed display that deterred screen damage from accidental abuse. With the PT4’s smartphone look, the screen is flush with the frame; durability is now questionable. Like smartphones, this device isn’t shockproof, dentproof, or crackproof. There are also no clear, protective coverings available for it. Boo. Tastes a little bit like tough cookies to me. To ping up the strokes, the GolfBuddy PT4 might just replace your golfing apps on your smartphone. Who needs your phone when you have everything you need in a slim-body device that’s made for the green? However, some reports show that the PT4 might not be as accurate as they would like it to be. Ensure you’re downloading the most updated courses online to avoid these issues. The GolfBuddy WT6 also shows a Green View with pin placement technology. It’s wearable and cheaper than the PT4, so it might be worth checking out if you’re not quite set on the phone-like golfing GPS rangefinder. Outside of the well-known GPS brand is the Skycaddie Touch GPS device. On sale, it’s half the price of the PT4 with very similar features including Bluetooth, Interactive HoleVue Technology, and TrueGround Targets for pin placements. GolfBuddy definitely has the upper-hand when it comes to variety in the golfing gadget industry. Whether it’s a watch, unit, or a rangefinder you’re after, they’ll have it!